This year's 2017 NAMM Convention did not disappoint . Guitars, Drums, Big Band instruments, etc. Check out this years basement discovery below. Sunday at NAMM is traditionally the wind down day where one can really focus on the products you might have missed. Well such was the case for me. I’m a longtime player now, and I am embarrassed to say, I never came across Optima Strings. What initially caught my eye was the construction utilizing real gold. They were gracious enough to send me home with a few sets, and as I flew back to the East Coast I wondered how they would actually feel once I strung up my ol faithful PRS. A string fabricated from gold? What was the advantage? Did they really out last most other strings? Were they cost effective to use on the regular? Is this some kind of gimmick or fad? 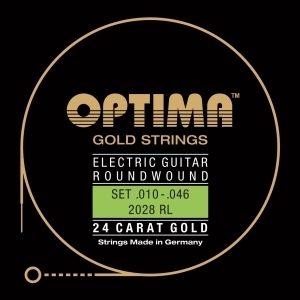 To give you a bit of background on Optima Strings: They are a family owned German company with 90-years of tradition in string manufacturing. They were developed and handmade in Germany, and they only use the finest materials for the “highest tonal demands” as they stated to me. They tout the tone and ability to retain clarity, along with lasting substantially longer than other brands. 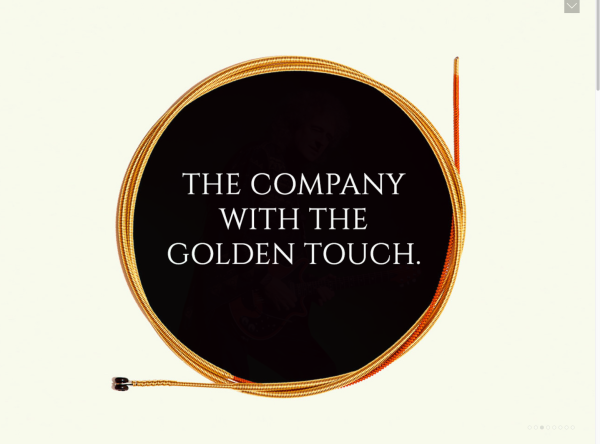 The durability compared to normal strings is up to three times longer and gold is a great solution for people that may be allergic to nickel. Gold inherently doesn’t retain sweat, tarnish or corrode- now I am I’m intrigued! But the true test really is, how do they sound? Well all I can say is WOW. I strung up the PRS, and have now lived with them for five days. I put them thru their paces for a solid 3-4 hrs a day. What I immediately noticed was how balanced the tension was from string to string. Warm and smooth sounding overall with a nice sweet top end to them. They have no harshness I have found–at all, along with amazing clarity string to string. Over the years a lot of high profile users have endorsed them including Brian May, Frank Zappa and John Entwistle among many others. I don't need to tell anyone, these guys would rely night after night on only the best. They are a bit pricey on the up front cost, but for me, I believe they will last longer...that being said, you can actually save money over the long haul. With regular strings, I sometimes only get a weekend worth of gigging out of them(summer gigs by the water are brutal on strings)…but the Optima's last for months(even if it’s only a month, I will save, in turn making gigs more profitable) and they will hold their tone. As of now, I am sold and a believer. The true test will come during the summer months. The price point is actually reasonable when you take into consideration the lifespan they actually have. Regardless of your playing style, Optima Strings has a a wide range of strings, so finding a set that's right for you is easy. In particular I think bass players could really find a huge savings with Optima’s Bass Strings. I have researched regular gigging bass players opinions and some have had them on for 6 months! And love them. Incredible. And by the way, they are really nice people, that always helps! Have no fear, go check them out, I don’t think you will be disappointed!